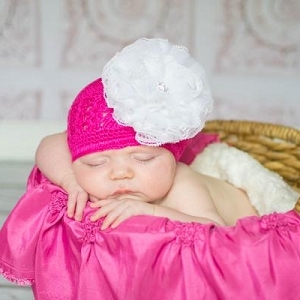 Raspberry Crochet Hat with Raspberry Lace Rose | Buy Jamie Rae flower hats for baby girls at SugarBabies Boutique! Beautiful for family photos or a day out on the town! 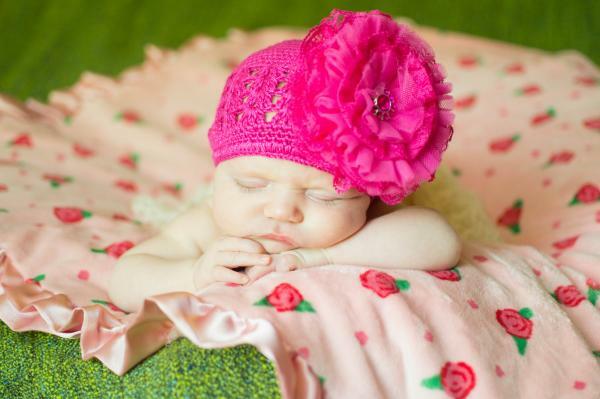 Our hand knit crochet hats are stitched with soft thread and adorned with beautiful flowers or marabou.